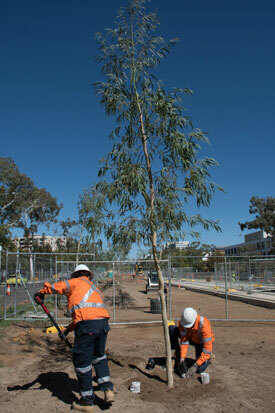 The Canberra Light Rail – Stage 1 is set to leave a sustainable legacy through its design, construction and operation. Roads & Infrastructure Magazine finds out why. When Sir Walter Burley Griffin won the ACT’s Federal Capital Design Competition in 1911, he laid out an ambitious vision for Canberra. While he was appointed to the position of Director of Design and Construction for the city, many components of his original plan, which included an expansive arbortorium and hills coloured by different types of flowers and shrubs according to a colour scheme, were modified and never came to fruition in their entirety. More than a century later, however, Sir Burley Griffin’s vision for a city connected by a network of trams is becoming a reality. For Patrick Giltrap, the Canberra Light Rail – Stage 1 is a fruitful step towards completing Sir Burley Griffin’s grand picture for Australia’s capital, and in a sustainability-minded way. Mr. Giltrap is the Environmental and Approvals Manager for Canberra Metro – the consortium delivering the public private partnership transport infrastructure project with the ACT Government. The project is a 12-kilometre route between Canberra city centre and Gungahlin, with 13 stops in total and is the first phase of a city-wide light rail network. Roads & Infrastructure Magazine talked with Mr. Giltrap about the unique sustainability initiatives shaping the project as it nears its December 2018 completion date and how they will leave a last lasting legacy for the city. From day one, sustainable design, practice and construction have been key ongoing priorities on the project. 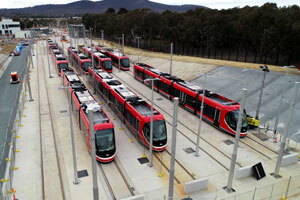 The Canberra Light Rail – Stage 1 aims to be the first carbon neutral light rail construction and operation in Australia – a goal Mr. Giltrap says is consistent with the ACT Government’s target of net zero greenhouse gas emissions by 2045. Design initiatives like solar panel lights and the implementation of an idling policy are part of achieving that target. The project will also run on 100 per cent green energy, with solar power augmenting the operational control centre. “I think a big part of what’s helping drive the sustainability outcomes on the project is just the fact the ACT is so progressive with its energy profile, and we’re working with the government and the client to help achieve that vision,” Mr. Giltrap says. The project achieved an Infrastructure Sustainability Council of Australia (ISCA) Design rating of 73.7 through the implementation of sustainability initiatives in its planning stages, which it aims to increase in the ISCA as-built rating phase. “At the end of the day, the biggest challenges for sustainability on the project have been responding to the requirements of the already very advanced project brief. There are some high requirements that are very vigorous for a rail engineering project and we’ve had to think about those very early on,” he says. To help not just achieve these targets, but exceed them too, the project has been designed specifically with a focus on reducing emissions, road duplication and material use. “One of the key things we did to differentiate our design as part of the bid was to look at the track alignment and modify it so a significant portion of the track wasn’t in the road median and went off to one side. This would save a significant amount of road works,” Mr. Giltrap explains. The altered alignment has reduced both works and materials used for a critical portion of the project, subsequently reducing disruptions to the public too. Likewise, the light rail has been built with the aim of reducing the amount of construction material required while maintaining the required strength on the track. “For the structural track forms, we reduced the depth and width of the tracks by minimising the amount of steel and cement and using reinforced materials,” Mr. Giltrap adds. The project is using glass fibre-reinforced materials in the construction of the track slab, which also acts as a electromagnetically neutral material. This reduces interference for detection loops and the potential for stray currents. As a result, less high-strength concrete has been required for the project, reducing the emissions not just from material procurement but transport to site too. Mr. Giltrap says a big emphasis throughout the process has been on minimising transport costs and subsequent emissions. Even the trialling of hybrid electric/diesel excavators has helped contribute to that cause. Similarly, the implementation of asbestos identification, handling and management has been another key sustainability milestone for the project. The delivery team developed and implemented soil and erosion management techniques on the project, including trials and deployment of bespoke soil stabilisers used with flocculants adhering to local soils. “We’ve really focused on doing a lot of storage management in terms of contaminants and reuse of water on landscapes. A lot of the soil has been used beneficially – it’s not going to landfill but is being used as remediation material,” Mr. Giltrap says. 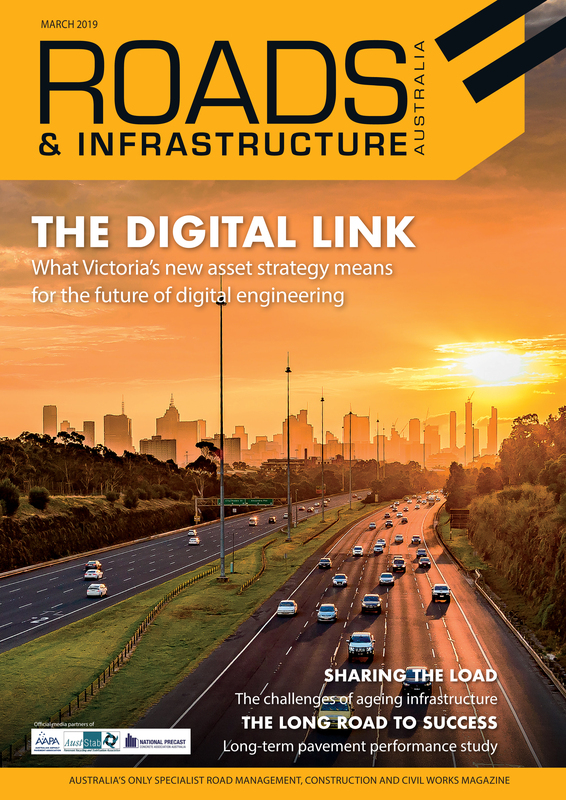 Using a draft climate change paper from Engineers Australia to inform its own internal model, the Canberra Metro team prepared a climate change risk assessment considering the long-term risks to the project. Mr. Giltrap says this assessment model has specifically informed and changed the project’s drainage design and helped implement a mitigation measure for the potential of increased flooding risk in bridges and stormwater systems. The design also includes a subsurface drainage setup that allows rainwater harvesting from the track to water the nearly 970,000 plants – endemic to the area – planted along the track as part of the project. While the energy, material and climate change benefits being realised on the project, Mr. Giltrap asserts the sustainability through local employment on the light rail’s delivery has been paramount to its success. “Seventy per cent of the workforce on the project are local, which is amazing for a specialist rail project like this,” he says.